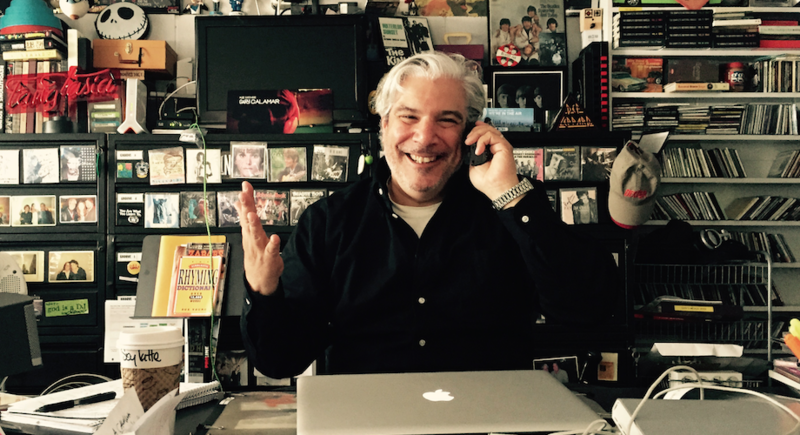 Gary Calamar, president of Go Music, is a five time Grammy-nominated producer and music supervisor who has overseen the music on some of the most acclaimed and popular shows on television including “True Blood”, “Six Feet Under”, “Dexter”, “Entourage”, “Weeds” and “House”. Gary’s current projects include “The Man In The High Castle” (Amazon) and “Titans” (DC Universe). Gary is also a songwriter and co-wrote the song “Let’s Boot and Rally” performed by Iggy Pop and Bethany Cosentino for True Blood. His debut EP as a recording artist, “You Are What You Listen To” was released on Atlantic Records to excellent reviews and airplay. Gary is also the author of “Record Store Days” (with Phil Gallo), and DJ at 88.5 KCSN. The first light young Mr. Calamar saw was on a movie screen. He was vaccinated with a phonograph needle. Born in the shadows of Yankee Stadium in the Bronx NY, Gary first found his passions lit when his parents took him to see “West Side Story”. By the time “A Hard Days Night” and “Goldfinger” came out he was hooked on the explosive combination of Movies and Music. He traveled west in the early 80’s landing in Los Angeles. In need of a job that would ensure him a steady flow of promotional records and free concert tickets, Gary stepped behind a cash register and worked retail. He was managing a Licorice Pizza Record store as 12 inch vinyl records turned into 5 inch digital discs and later moved on to Rhino Records and Moby Disc mixing with the customers and building up his music collection. In the mid 90’s Gary started as a volunteer at National Public Radio’s influential powerhouse KCRW. After (literally) getting down on his knees and begging music director Chris Douridas for a radio show he was given a shot and proved to be a hit. Through the years Gary has hosted live performances and interviews with musical greats ranging from Brian Wilson and Elmer Bernstein to Wilco and The Flaming Lips. After 25 years at KCRW Gary moved to the left of the dial and is currently spinning his unique brand of “adventurous pop music both timely and timeless” at 88.5 KCSN on Sunday Nights from 5-7PM. In 1998 Gary broke into the Music Supervision game and music supervised “Slums Of Beverly Hills” and then tackled the movie “Varsity Blues”, resulting in a #1 box office hit and a soundtrack album certified gold. He was off and running. At the turn of the century Gary, along with friend and fellow music supervisor Thomas Golubic´ oversaw the music for the HBO original series “Six Feet Under” and Gary has since music supervised many hit tv shows (True Blood, Dexter, Six Feet Under, Entourage, Weeds and House) as well as award winning documentaries and films. He lives in Laurel Canyon with his lovely wife and their amazing daughter.